In our series of tutorial group studies of heroes of the faith, we have looked this semester at a variety of figures who have influenced each of us individually. They have included Brother Roger of Taizé, the missionary Heidi Baker, Pete Greig, founder of the 25/7 prayer movement, Erasmus and the late Revd Cecil Kerr of Rostrevor. To conclude this series, I have chosen a hero of the faith who I have found inspiration since I was first inspired by his faith in brave action when I was a 19-year-old. I had a wonderful, self-defining, existentialist moment at the age of 19, when one afternoon I first experienced the love and light of Christ being poured out on me in the chapel of Saint John’s Hospital in Lichfield. It is not a past moment … it is a present, living and lived experience. That evening, I slipped into the stalls in Lichfield Cathedral for Choral Evensong. Afterwards, a canon asked me whether I had started coming to church because I was considering ordination. Canon John Yates (1925-2008) was the last Principal of Lichfield Theological College, appointed in 1966 in succession to John Fenton. He continued as the principal for the next six years, and in 1971 he was appointed Prebendary of Flixton in Lichfield Cathedral. When he asked me that question, he can hardly have known that shortly beforehand I had that wonderful experience in the chapel in Saint John’s Hospital. Jean and John had remarkable social consciences. They spoke out against discrimination and they were deeply concerned for the poor and the marginalised. They kept an open house in the Close, and in the brief time I knew them I was welcome to drop in. Later, he was a bishop for 22 years, first as the Bishop of Whitby from 1972 to 1975, the Bishop of Gloucester from 1975 to 1992 and the Bishop at Lambeth from 1992 to 1994. Soon after that experience in Lichfield, I was deeply moved by the news reports about the Dean of Johannesburg Cathedral, the Very Revd Gonville Aubie ffrench-Beytagh. So, my adult experience of and formation in the Christian faith in its Anglican expression, my openness to the call to ordination, and my understanding of clear expressions of Christian discipleship, came together in a sequence of experiences that have formed me, my identity and my sense of being. 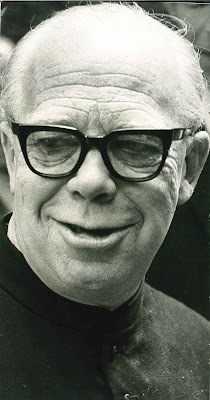 Gonville Aubie ffrench-Beytagh, who was born over 100 years ago, on 26 January 1912, was an Irish Anglican priest who attained international prominence in the 1970s for his uncompromising resistance to injustice and apartheid. Although he was Dean of Saint Mary’s Cathedral, Johannesburg, he found his office was no protection against the state security forces, or against solitary detention, trial and eventual deportation. Although Gonville ffrench-Beytagh was born in Shanghai, was a British citizen and was once classified as “Asiatic,” he still insisted on his Irish identity, and he was an Anglican by choice rather than birth. He was self-conscious when it came to his awkward combination of names, but proud that each part of his surname indicated his descent from two old Co Galway families: the Beytagh family, who lived near Cappagh, Co Galway, from the late 17th century, and the ffrench family of Castle ffrench. In “a sudden attack of snobbery,” Gonville’s father, Leo Michael ffrench-Beytagh, hyphenaed his name after his children were born, to claim descent from the Revd Edmund de Gonville, co-founder of Gonville and Caius College, Cambridge. The dean later also claimed kinship with Major Gonville Bromhead, who received the VC for his role in the Battle of Rorke’s Drift in the Boer War and who was portrayed by Michael Caine in the movie Zulu (1964). Gonville ffrench-Beytagh was born in Shanghai on 26 January 1912, the son of two much-married Irish parents. His father was an expatriate Irish alcoholic, a former seminarian, a lapsed Catholic, and an admirer of Michael Collins. He claimed to have fought in the Boer War, and by the time his children were born he was the managing director of a cotton company, living in the French Quarter in Shanghai. He was sent to Monkton Combe (motto Verbum Tuum Veritas, ‘Thy Word is Truth’), an independent boarding school near Bath, and then to Bristol Grammar School. His experience in England of church, Sunday Schools, confirmation classes and summer camps left him determined never to attend church again. In January 1929, just before his 17th birthday, he left England for New Zealand to enrol at an agricultural course at Waitaki Boys’ High School in Oamuru, but was soon expelled after a midnight escapade. He then tried sheep farming, and would later claim that he was one of the few clergy who could preach on the Good Shepherd as he had been a notably bad shepherd himself. In South Africa, he was reunited with his mother and various half-brothers. He took odd jobs and was a clerk with a mining company before eventually finding an office job with Toc H in Johannesburg, where he helped with a boys’ club. 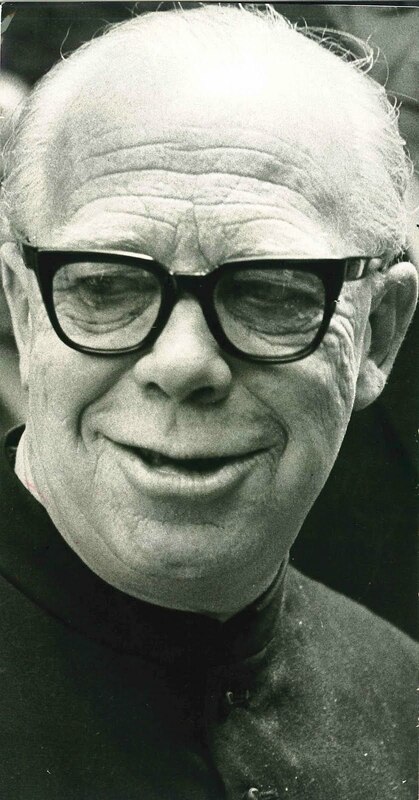 He was still an irreverent agnostic, but at Toc H he soon became friends with Jonathan Graham, later Superior of the Community of the Resurrection (1958-1965), Bishop Geoffrey Clayton of Johannesburg later Archbishop of Cape Town, and Alan Paton, author of Cry the Beloved Country. In January 1936, at the age of 24 and a year after being mugged, Clayton sent him to Saint Paul’s Theological College in Grahamstown. He later recalled: “The college turned out to be a rather mausoleum-like, dull, brick structure which to me had the psychological impact of a prison.” Clayton urged him to persevere, and ordained him deacon in 1938 and priest in 1939. The two would remain life-long friends. Throughout his ministry, Gonville suffered intense bouts of depression, but found his spiritual support and comfort in a Catholic Anglican spirituality. He rose daily at 4.30 a.m. to say the office, and celebrated Mass daily for the rest of his life. He went on to develop gifts as a counsellor and adviser. He served in a number of parishes in the Transvaal, including Springs and Germiston, with times as chaplain to the Sisters of Saint Margaret in Johannesburg and as the diocesan missioner. In 1952, he was made a canon of Saint Mary’s Cathedral, Johannesburg, and appointed priest-in-charge of Saint Alban’s Mission for “coloured” people near Johannesburg. At an early stage in his ministry he had not developed a political consciousness. At Saint Alban’s, with his first true contacts outside white society, “the utter nonsensicality of racial discrimination really hit me.” He grew increasingly disillusioned with the stealthy encroaches of apartheid. In 1953, he resigned his South African passport in protest at the passing of the Bantu Education Act. A ten-year period from 1954 as the Dean of the Cathedral of Saint Mary and All Saints in Salisbury (now Harare) in Southern Rhodesia (Zimbabwe) removed him from the growing maelstrom of South African politics. There he made lasting friendships, particularly with Alison Norman, and brought the cathedral building near to completion. But his reputation as an outspoken preacher and an opponent of racism was gathering pace, making him one of the most controversial figures in Ian Smith’s Rhodesia in the period preceding the Unilateral Declaration of Independence (UDI). He returned to South Africa in 1965 as Dean of Saint Mary’s Cathedral, Johannesburg, and Archdeacon of Johannesburg Central. There he found Alan Paton had his passport confiscated, and many white people he knew and trusted had been imprisoned or exiled for speaking out for freedom. He quickly became a prominent opponent of apartheid, condemning it as “blasphemous against God and man.” Gonville campaigned against the continuing house arrest of Helen Joseph, a member of the cathedral congregation, first met Winnie Mandela, and opened his cathedral doors – those same doors that had been kept closed at Christmas over 30 years earlier – to black protesters chased up the cathedral steps by police beating them with rhino whips and police dogs snapping at their heels. In mid-1970, while he was on leave in London, he arranged with Canon John Collins of Saint Paul’s Cathedral, chairman of the International Defence and Aid Fund for Southern Africa and a leading figure in the Anti-Apartheid Movement, for the IDAF to send aid through Alison Norman, a mutual friend, to a humanitarian fund managed by the dean in Johannesburg to help black families in the townships around Johannesburg. The money would buy food and children’s clothes, pay rents and school fees, and help pay for prison visits, especially long journeys to places such as Robben Island. His Sunday congregations included black township residents, white people from comfortable suburbs, and spies from the special branch spies. The cathedral also included the black congregation of Saint Cyprian’s Church, originally established as a mission church for domestic workers. On weekdays, homeless black urchins, who “disappeared like smoke” if they were approached by any authority, would creep in and listen to the organist practising. The mixture of these groups gave the cathedral its particular character. He was being watched closely by the South African special branch (BOSS) when, at Christmas 1970, he publicly called the “South African way of life” the “South African way of death.” He was arrested on 20 January 1971 and spent his fifty-ninth birthday in jail, where he was held in solitary confinement and brutally interrogated. At first, he was accused of furthering the unlawful activities of the African National Congress (ANC) and the South African Communist Party, and of possessing their pamphlets, with titles such We Bring You a Message, These Men Are Our Brothers, Our Sons, The ANC Says No to Vorster and His Gang, and Freedom. Alison Norman was named as a co-conspirator. During his detention, demonstrations and vigils were held throughout South Africa, and the cathedral bells and the bells of many suburban churches were chimed each day in protest. His trial was postponed and he was released on bail on of 5,000 Rand. He appeared in court briefly again on 30 June, when the state pressed more sinister charges under the Terrorism Act carrying the death penalty and his bail was increased to 10,000 Rand. When the trial opened in the Supreme Court in Pretoria on 2 August 1971, the main prosecution witness was Kenneth Jordaan, once one of the dean’s altar servers and confidants. Jordaan claimed ffrench-Beytagh had suggested he join the security police to keep watch on their tactics, but it turned out that he was a security police agent. He claimed to have heard the dean inciting the Black Sash – an organisation of middle class, white women – to commit acts of violence against the state, and alleged the dean was involved in a conspiracy to overthrow the state by violence, saying revolution was justified under certain circumstances. In his defence, ffrench-Beytagh said that, far from advocating violence, he had warned that apartheid would result in violence if it were not changed. Apartheid, he insisted, was “heresy – and damnable heresy.” Later, he described apartheid as “blasphemous against God and man.” It was alleged also he said a particular colonel in the security police ought to be shot. “They didn’t know I had said the same of several Anglican bishops,” he told The Guardian later. On 1 November 1971, he was found guilty on three charges: inciting and encouraging members of the Black Sash to engage in violence; encouraging Jordaan to engage in violence against the state; and receiving 51,400 Rand from the IDAF through Alison Norman. The judge ruled that although he was in possession of ANC pamphlets, this was not an offence, and they may have been planted. As Mr Justice Petrus Cillié, Judge-President of the Transvaal, sentenced the dean to five years in prison, women in the courtroom gasped and sobbed. As he left the court, they began singing Onward, Christian Soldiers. His conviction, which hinged “on what he had said rather than what he had done,” sent a warning to his outspoken Anglican clerical colleagues. He was given bail pending his appeal. He had to report to the police each week, but continued to officiate at Saint Mary’s Cathedral. His appeal was heard in Bloemfontein in February and March 1972, and on 15 April 1972, his sentence was set aside. But he left South Africa for London immediately and spent the last two decades of his life in exile in England. One of his first meetings was with Archbishop Michael Ramsey at Lambeth Palace. But he found it difficult to get a parish in England until it was suggested he should apply for a curacy at Saint Matthew’s, Westminster, where Bishop Frank Weston had once been curate. Later, he recalled how he had made a pact with God – if offered sherry, he would refuse the post; if offered gin, he would accept. Both were offered, he refused the sherry and he accepted the post. He had been an honorary canon of Johannesburg since leaving South Arica, and after joining the staff of Saint Matthew’s was made an honorary canon of Canterbury Cathedral in 1973. Saint Matthew’s gave him a base for an altar and a confessional, for spiritual direction and for prayer. But life there was difficult, and he alienated parishioners with his conservative liturgical practices and his refusal to celebrate the marriages of non-communicant couples. He moved in 1974 to become Rector of Saint Vedast-alias-Foster, where until earlier this year  the rector was the Revd Dr Alan McCormack, previously Dean of Residence in Trinity College, Dublin. Saint Vedast’s, a Wren church in the City of London and a parish without resident parishioners, gave space to concentrate on writing and spiritual direction. He retired from Saint Vedast’s in Christmas 1986, and went to live with friends, including Alison Norman, in an informal community in Tower Hamlets. He died in the London Hospital in Mile End on 10 May 1991, almost 20 years after his forced exile from South Africa. The poet John Betjeman saw Gonville as something of a saint and referred to him as “the martyred Dean of Johannesburg.” Although not without his weaknesses and his eccentricities, his gifts were recognised by many, he was renowned for his ministry of spiritual counselling and some compared him with Padre Pio and the Curé d’Ars. Although he suffered from severe depression, he concealed it with courage yet wrote about it frankly and honestly, especially in Facing Depression (1978) and Out of the Depths (1990). His best-known book, Encountering Darkness (1973), describes his struggle against apartheid and his prison experiences. A Glimpse of Glory (1986) was a collection of meditations with an extended commentary on George Herbert’s poem, Prayer. Tree of Glory (1988) was a series of meditations on the cross and redemption. “The man is quite obviously a saint,” said the BBC broadcaster Gerald Priestland. He was “a truly saintly despite his penchant for gin, whisky, and cigarettes, and I must not forget those red socks he loved to wear,” said another friend, Wendy Bronfield. Gonville ffrench-Beytagh, The Living Word (London: USPG, 1973). –, Encountering Darkness (London: Collins, 1973). –, Encountering Light (London: Collins, 1975). –, Facing Depression (Oxford: Fairacres, 1978/1990). –, A Glimpse of Glory (London: Darton, Longman & Todd, 1986). –, Tree of Glory (London: Darton, Longman & Todd, 1988). –, Out of the Depths: Encountering Depression (Oxford: Fairacres, 1990). Muriel Horrell, A survey of race relations in South Africa (University of California Press, 1972, 360 pp). Gerard Irvine, ‘Good and fearless shepherd,’ The Guardian, 14 May 1991, p. 35. ‘South Africa: I won’t come out alive,’ Time, 15 November 1971. Alan Paton, Towards the Mountain (London: Penguin, 1980). Kevin Ward, ‘Beytagh, Gonville Aubie ffrench- (1912–1991),’ Oxford Dictionary of National Biography, vol 5 (Oxford: OUP 2004), pp 630-631. (Revd Canon Professor) Patrick Comerford is Lecturer in Anglicanism and Liturgy, the Church of Ireland Theological Institute, and an Adjunct Assistant Professor, Trinity College Dublin. This essay is based on notes prepared for a tutorial group with MTh students on 18 November 2015. It draws extensively on a paper first published in Search: A Church of Ireland Journal, 35/1 (Spring 2012), pp 47-54.